And that’s another pass on the early game progress done. 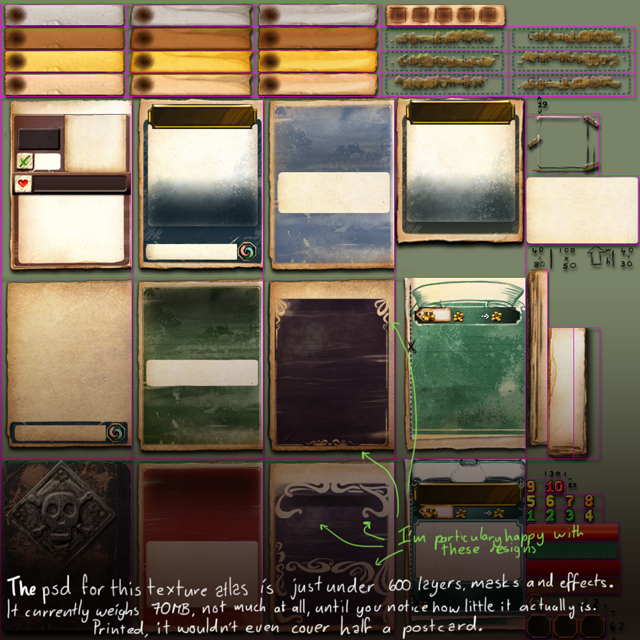 In our neverending quest to streamline the learning experience for new players (and cram as many lessons into as small a space as possible without sacrificing everyone to the vengeful god Waloftext), we’ve added more icons, helpful pointers, concept explanations and aesthetic improvements to make stuff “pop”. 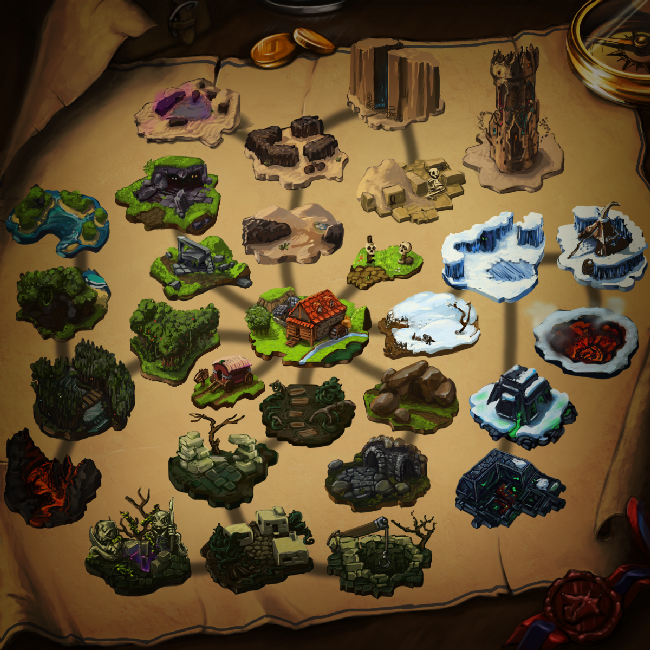 The map isn’t in just yet, but that’ll be in as soon as our artists come out the other end of the UI spam that they’re being forced to endure. From a bug (and performance) perspective, we’ve made a few important optimisations which should improve the game radically on systems that previously suffered! Even our less oppressed players should notice fewer halts and hiccups in their overall game experience. Be on the lookout for weird hiccups in the progress if you decide to play through this week. We discovered and squashed a surprising number of long-standing gremlins towards the end of this cycle, but we tend to fall into a horrible habit of playing the game absolutely perfectly every time we go through it and that doesn’t really do much for exploit catching. So annoying. Anyone who has played the early parts of Desktop Dungeons recently will have noticed the new cadence of the toasts, advisor hands, and building spawn animations. The systems that control these elements were built at different times, and sometimes by different team members, so getting them all to get in line was a real challenge. The event system that the whole game runs off was actually very helpful in terms of controlling what appears when, with no overlap. I was able to create a handler that listens for all the events in charge of firing off these disparate pieces. It intercepts all the events, and adds them to a queue, waiting for some event to fire notifying the handler that the next event in the queue can be sent out. Some extra code was added to the pieces themselves, to let the handler know when they are ‘done’ and the next piece can be activated. This all allows the user to move through the messages at their own pace, and it allows us to set the order that we want things appearing in. This is really important for new players, as they’re being asked to absorb all the basic DD systems in just a few short messages. 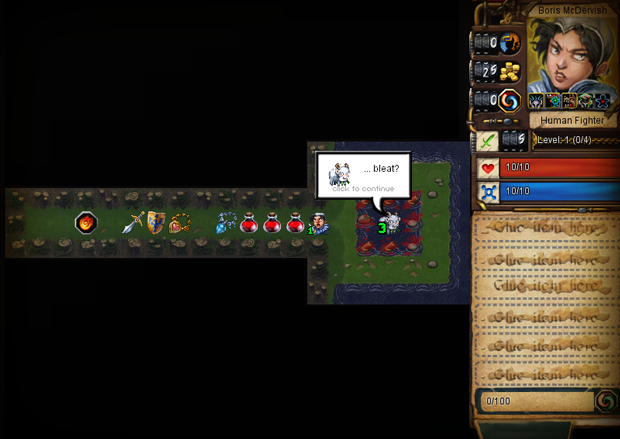 In our everlasting Quest for Pretty, we’ve continued improving the flow and animation of early game progression. Sit back and marvel as the Kingdom animates and builds upon itself using the architecturally-patented Smoke And Nonsense Effect. The image you see accompanying this blog post is sadly not in the game yet. But it is the game your game could look like. Yep, that’s right, our crosshairs are set on the map screen up next, and we want it to be bee-yoo-ti-ful by the end of the whole process (click on the image for a larger size of the current draft). We’re also sprucing up seemingly unimportant stuff like the profile switching panels, the typeface and size on toast announcements, and a bunch of other little things which do their bit to improve the player’s suspension of disbelief. Soon, there won’t be any loose ends left at all. Aside from cosmetic and interface issues, we’ve also tackled one or two bugs (those have finally been getting rarer). Then there’s smoothing out the questline in the Goat Glade (the first one is much easier and more stable than it was a few weeks ago). You should check the changelog for other bits ‘n bobs, you know? Added sequencing queue to early game tutorial events. Changes to early game tutorial content. 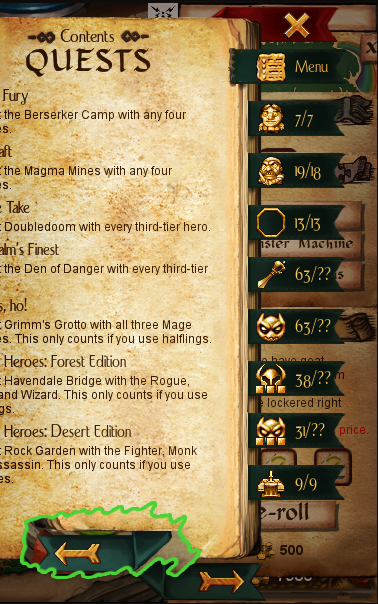 Replaced many text buttons ingame with paper text buttons. Replaced many older style panels with paper panels/speech bubbles. Fixed a bug where PQI would send players to tutorial 4. Fixed a bug where applying poison to an already poisoned enemy would not play the poison sound. Fixed a bug in score screen where a gold value could be negative. Changed the panel order on Goat Glade to stop some odd looking panel shuffling. Updated sliders/scrollbars with new graphics. 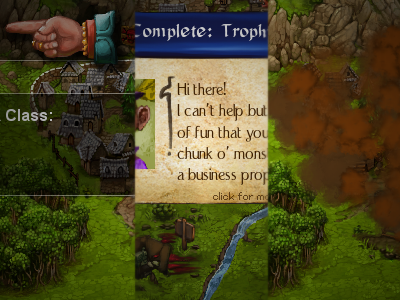 Implemented dragable scrollbars. Narrative concerns in Desktop Dungeons have always been a little weird. Its short-session, rotating door of one-shot characters doesn’t lend itself to extended storylines. Its semi-linear nature makes it difficult to have a “main” storyline (we ended up dressing one tale out of several as the “campaign” because we needed a solid backbone for metagame progress). Its random nature means that it’s difficult to ensure that all parts of the story are heard at the right times. In other words, conventional storytelling is out. 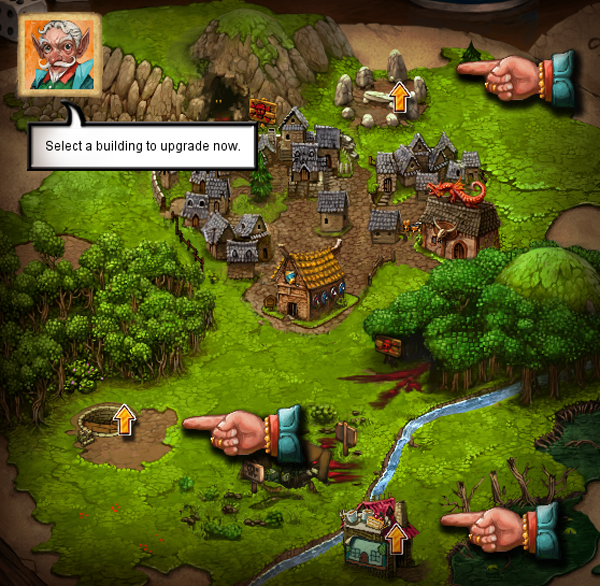 This week has been a big win for interface design and new players – along with some more flashy new animations in the general Kingdom area, we’ve rebuilt large sections of the early game progression to be less overwhelming for new players, helped along by a brand spanking new advisor tutorial system that guides players along in a nice hand-holdy (or hand-pointy) way. This is paired with a bunch of Codex refinements and content re-additions (yeah, we couldn’t leave the lorehounds hanging) and several improvements to our recent animation system. There’s also a frightful amount of new art in the pipeline that we just couldn’t cram in — trust us when we say it’s absolutely mind-pop-sploding. Yep, that word. Making things pretty. That’s all it is; which seems so straightforward. In reality, making art for video games can get complicated very quickly. Besides needing your fundamental art skillset of composition, colour, technique and all the rest of the artsy fartsy background, you need a whole additional technical understanding to deal with the pipeline of game making. Even an essentially 2D game like Desktop Dungeons, which I reckon is on the easier end of the game art spectrum as there’s more of a wysiwyg dynamic, takes some hefty technical consideration. You need to know your tools. Know how your images are being interpreted and reproduced in the game, learn what can and can’t be procedurally reproduced in the chosen pipeline . In my experience there’s often a lot of to and fro to get a file exactly right and building non-destructive source files is critical. At any point in a game’s production a change can be called for that may be buried deep in work you produced months ago; those layers had better not be flattened together and don’t you wish you’d labelled them better now? Another huge aspect of this production art is the need to prototype quickly, as an artist in a pipeline you need to be able to get an idea down quickly, particularly in those occasional cases when you’re only the stylus-wielding cog for someone else’s vision. Sometimes you need to explore art directions that get scrapped to find the one that works, the quicker you can scout, the better off your work. The cutting room floor; not a good camp-site. 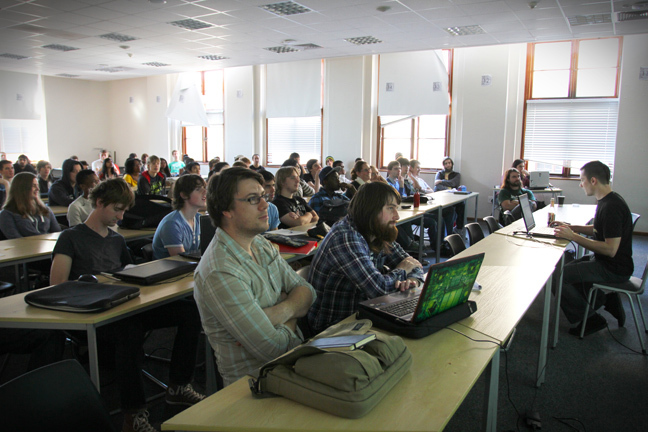 Unrelated to article, from this weekend’s Make Games workshop at UCT. So the game feature that we’ve been promising / imagining / threatening for a good long time has finally arrived on the doorstep of Desktop Dungeons beta players everywhere! Shaking off the dust from a whirlwind journey through time and space, the marvellous Codex of collected Desktop Dungeons wisdom gives players a quick reference guide for just about everything in the game – item and boss descriptions, status effect glossaries, god personalities and even lore collections for story junkies. 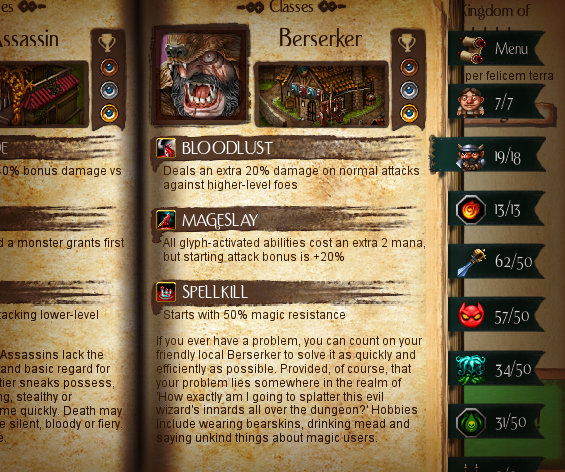 The Codex doubles as the game’s main menu, so to reach it from the dungeon OR Kingdom screen, just hit that button! Any problems can be reported on the forum thread here. Rubbing shoulders with this new, bookish update is an all-new Special Edition Triple Quest, which begins the (super-difficult) journey towards explaining the existence of the Goatperson, the nature of the pre-Kingdom world and other storyline mysteries that aren’t 100% covered in the basic campaign.